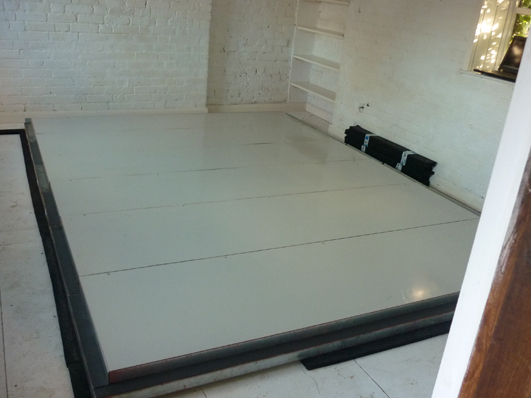 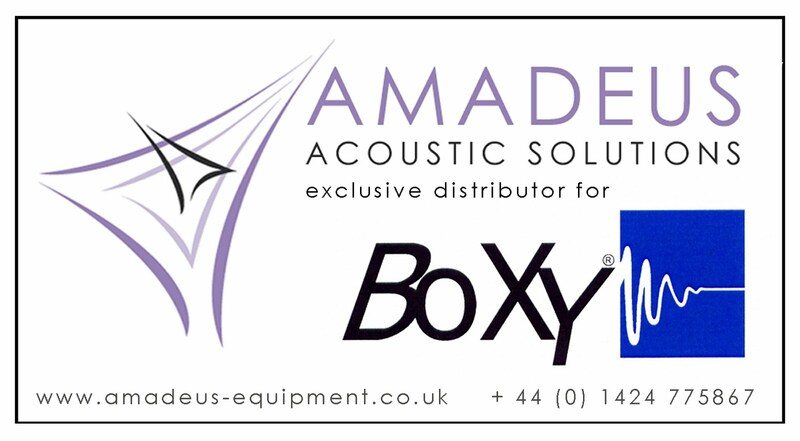 Our Boxy acoustic music practice rooms can be utilised for a virtually unlimited amount of musical uses. 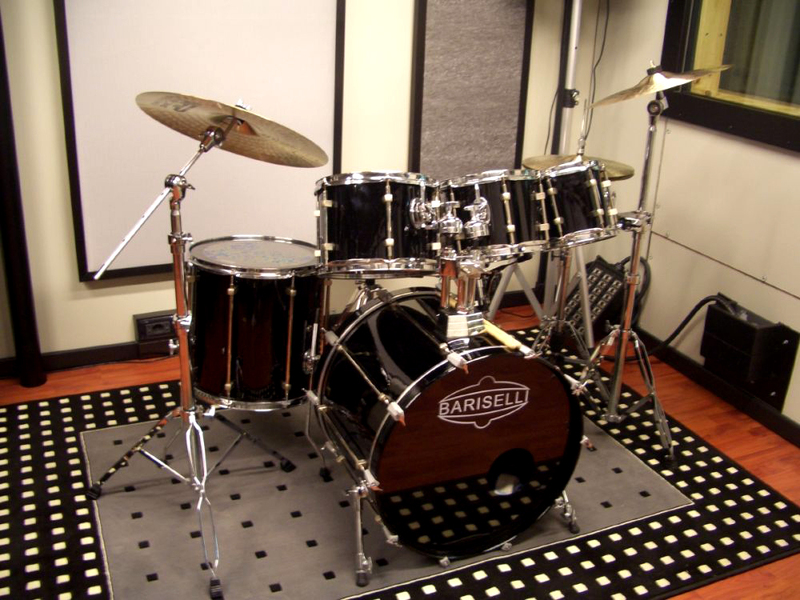 They are used as band rehearsal rooms, music practice rooms in schools, colleges and Universities, vocal booths, control rooms in recording studios, and much more. 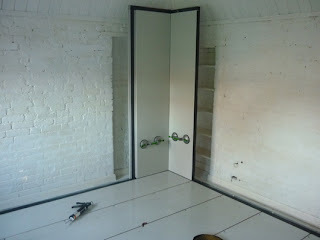 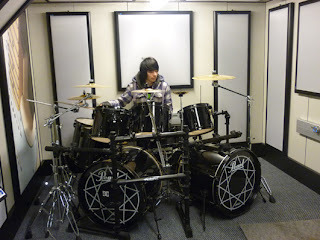 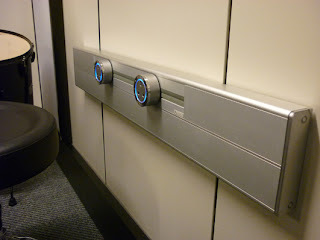 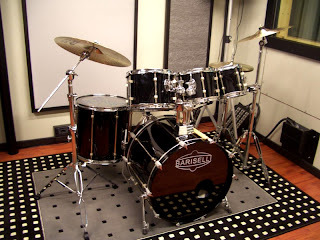 They are also widely used as soundproof drum rooms. 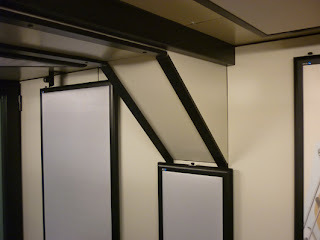 Above: Boxy Soundproof Drum Room. Designed to your specification. 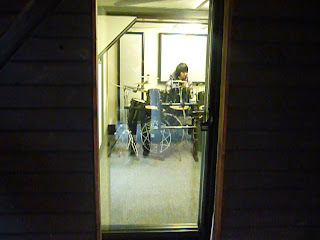 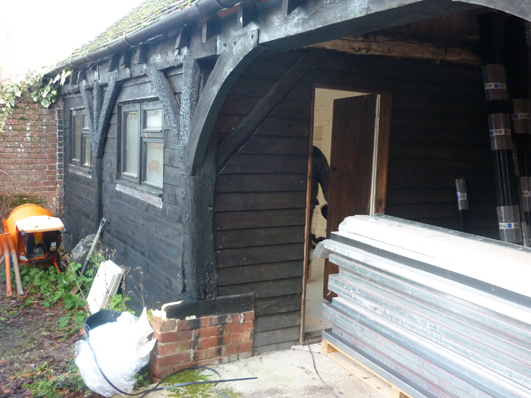 We recently installed one of our music practice rooms into a converted garage/barn in Faversham, Kent for a young drummer who wanted to play late into the night without disturbing surrounding neighbours. 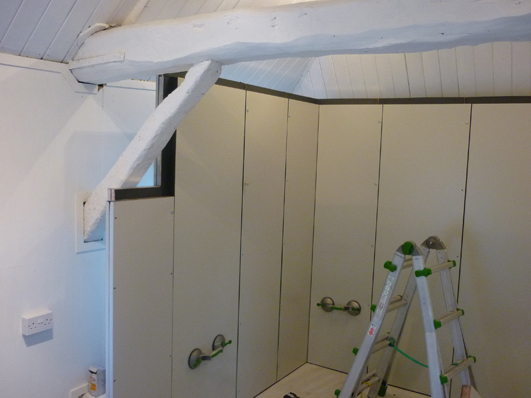 We designed this stunning soundproof drum room to fit perfectly within the existing building, and had to work around structural obstacles such as supportive ceiling beams. 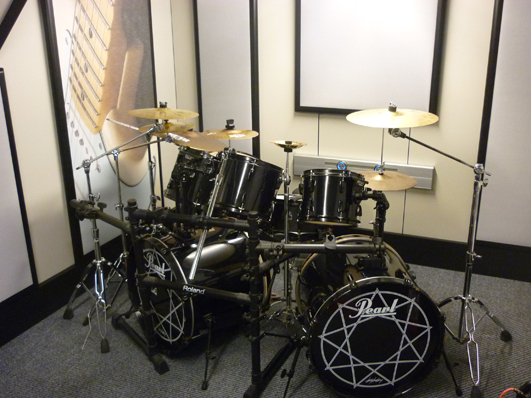 Our client is now able to play drums at any hour of the day or night, and he doesn’t disturb anyone around him. 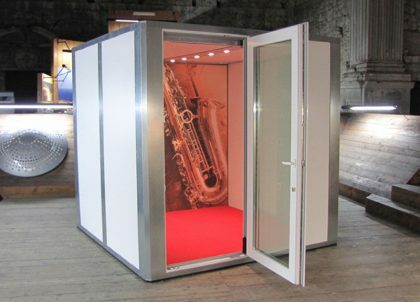 He also uses the acoustic pod as a band rehearsal room with his friends and colleagues. The interior of the pod has been beautifully finished with printed acoustic panels, a glass acoustic door, and contemporary blue neon plugs and electrical points. 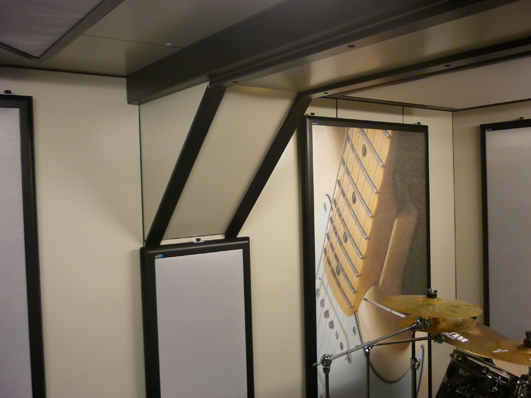 Above: Drummer inside the Boxy acoustic pod with the glass acoustic door closed.